Millions of people regularly run – in parks or in gyms. Nothing to be surprised about, because it is one of few sports which can be done with little equipment and without prior knowledge. For this reason everyone who owns a pair of runners can start running to improve their endurance. However, beginners and returners to the world of sport should keep in mind some points before they start running. Jogging is defined as relaxed running at a comfortable pace which is – unlike running – health oriented. Running is a targeted competition oriented form of exercising, whereby athletes go to their limits. When you jog more muscle groups are trained than when walking. For this reason when you jog, the training effect is higher. To reach the desired training effect, an optimal training speed is important. The moveguard training companion supports you by calculating the optimal training heart rate. 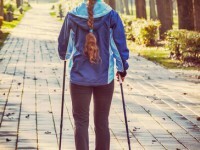 Beginners and returners should start with walking or Nordic walking before they change to jogging. The motto for beginners is: Get fast slowly. In general the following rule applies: run slower but longer. 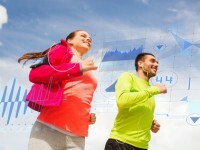 In this way it will be easier to keep up your running training plan. You should keep an eye on the right running technique if you want to prevent injuries. The upper part of the body is upright and slightly bent forward, look forward, the angled arms swing loosely, the feet roll from heel to toe and the hip is kept upright. It is very important that the movement is harmonious. Be aware of your arms – they should not be cramped or hang loosely from the body. So, put on your runners and off you go!